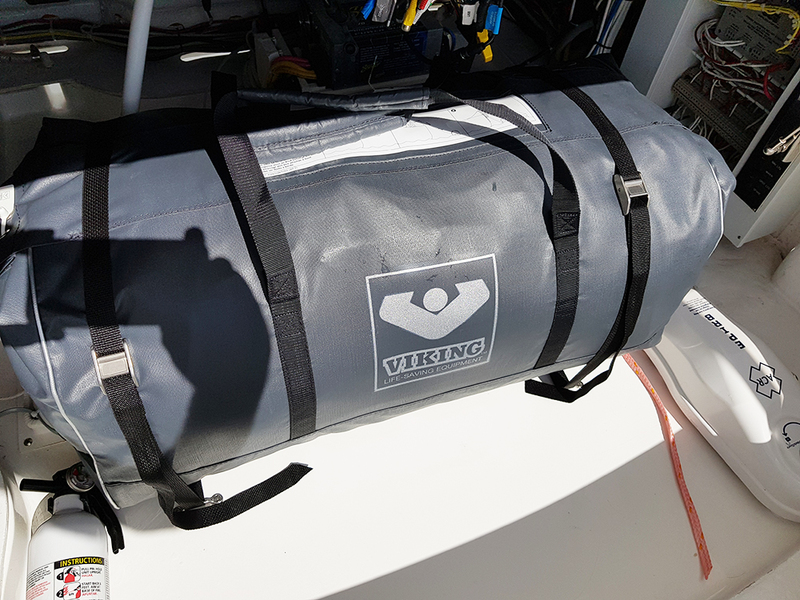 A versatile system of low-profile, flush-mount cooler tie downs, deck plates, straps, and turnbuckles for securing your gear on deck. Kennedy Products offers a flexible system of anchors, attachments, and adapters to secure a variety of equipment. 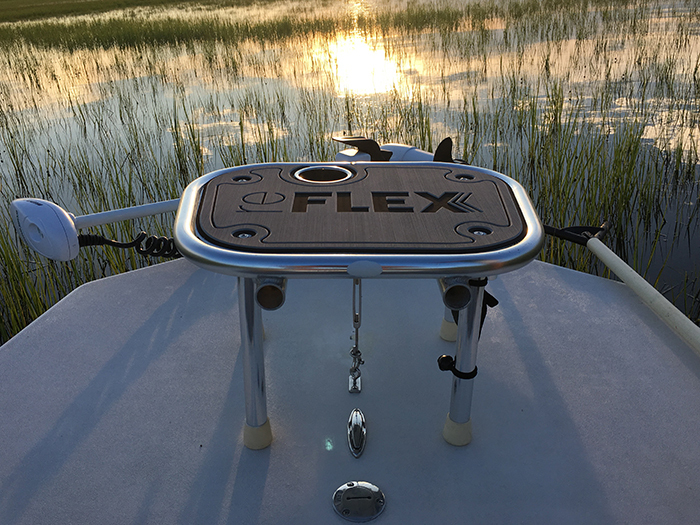 All are designed so that when the equipment is unneeded, decks are free of tripping hazards and snag points for fishing lines. 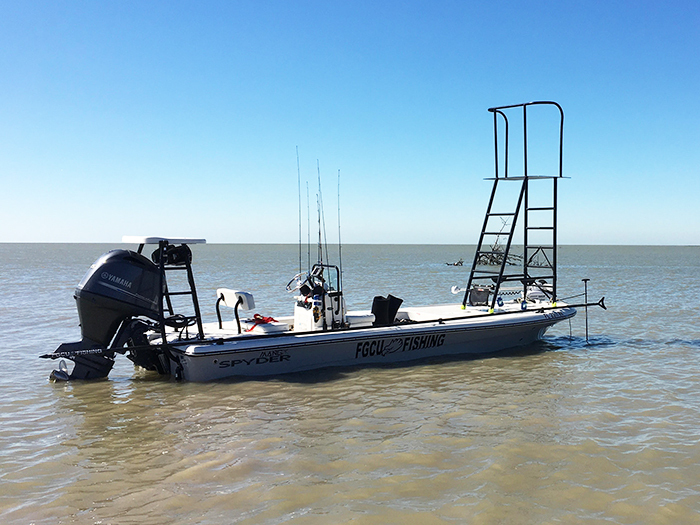 All of our products are crafted to the highest quality standards from polished 316 stainless steel to withstand decades of salt and sun. Everything we make is guaranteed for life. If any of our products fail, for any reason, contact us and we will replace the defective part. Components can be mixed and matched to create the perfect tie down system for your application. Mouse over the images for details. Turnbuckle provides maximum stability for coolers used as casting platforms and maximum holding strength. Turnbuckle Adapter attaches easily to most roto-molded coolers with short #12 screws. Threaded Deck Bolt requires access to underside of mounting surface. This is the Turnbuckle - Deck Bolt Cooler Kit with an adapter added. Turnbuckle provides maximum stability for coolers used as casting platforms and maximum holding strength. Turnbuckle Adapter attaches easily to most roto-molded coolers with short #12 screws. Threaded Deck Plate can be mounted with #10 self-tapping screws (included) or through-bolted. This is the Turnbuckle - Deck Plate Cooler Kit with an adapter added. Threaded Deck Bolt requires access to underside of mounting surface. Use a Strap Adapter for coolers without molded-in attachment points. This is the Strap - Deck Bolt Cooler Kit. Threaded Deck Plate can be mounted with #10 self-tapping screws (included) or through-bolted. Use a Strap Adapter for coolers without molded-in attachment points. Simple, secure tie down system. Strap Deck Plate can be mounted with #10 self-tapping screws (included) or through-bolted. 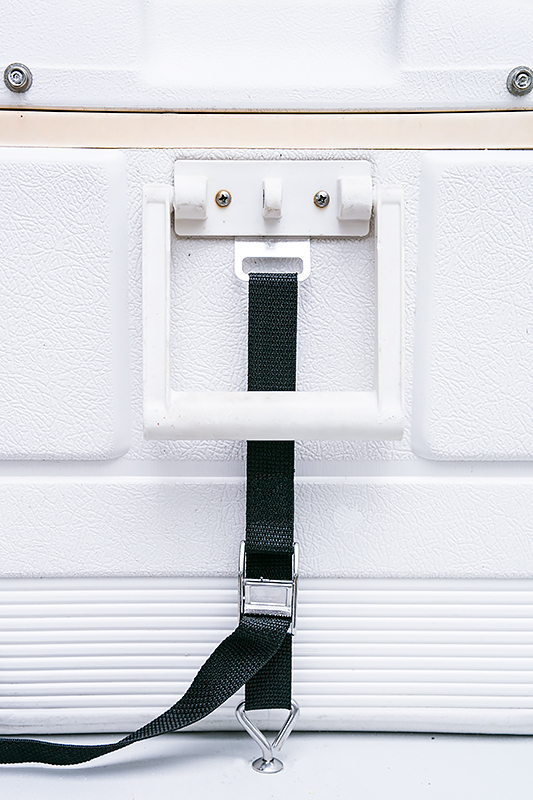 Use a Strap Adapter for coolers without molded-in attachment points. This is the Strap - Deck Plate Cooler Kit. Most economical system for securing coolers. Kennedy Deck Loop is lower profile than similar products and uses #10 mounting screws instead of #8 for better holding strength. 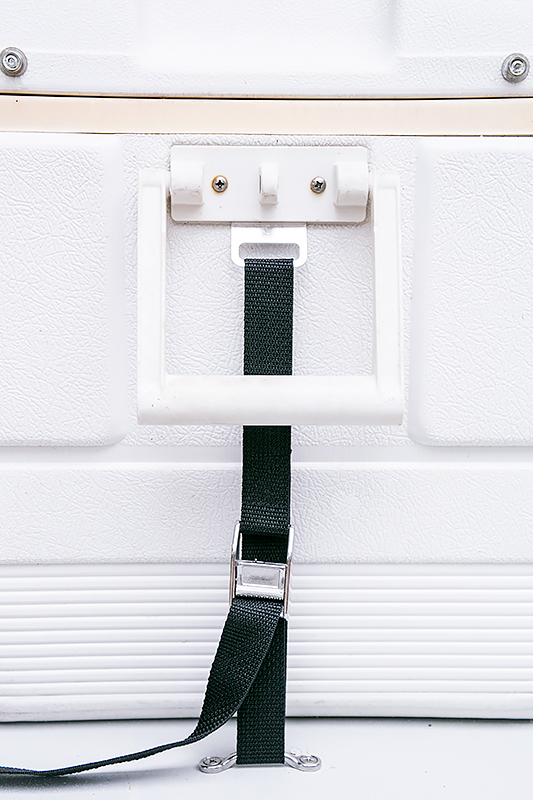 Use a Strap Adapter for coolers without molded-in attachment points. 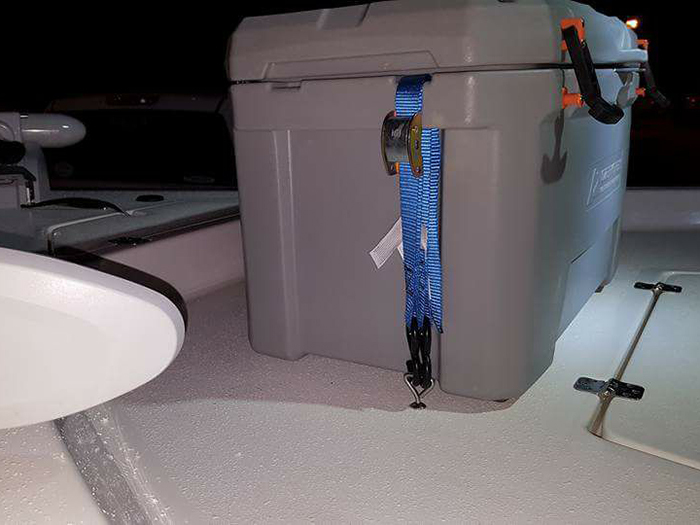 This is the Strap - Deck Loop Cooler Kit. 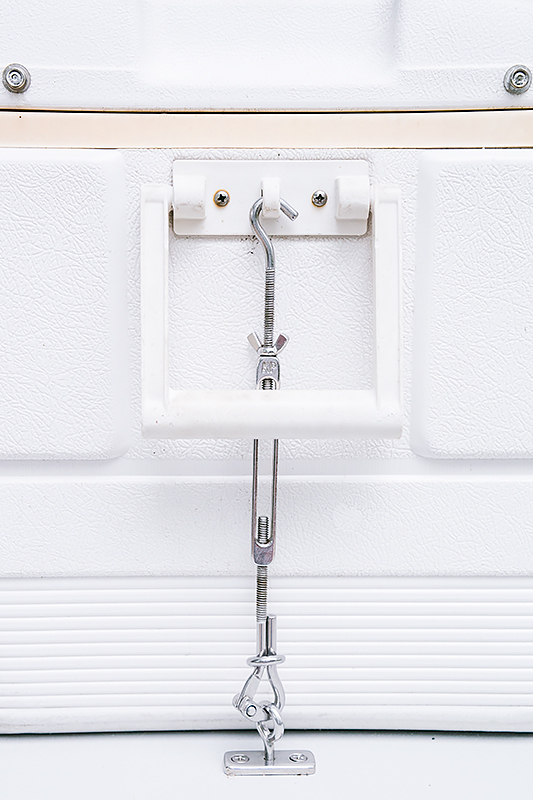 Turnbuckle provides maximum strength and longevity and can be hooked directly to built-in plastic eyes on Igloo coolers. Threaded Deck Bolt requires access to underside of mounting surface. This is the Turnbuckle - Deck Bolt Cooler Kit. Turnbuckle provides maximum strength and longevity. Turnbuckle Adapter fits behind Igloo-style handles for a stronger connection point. Threaded Deck Bolt requires access to underside of mounting surface. This is the Turnbuckle - Deck Bolt Cooler Kit with an adapter added. 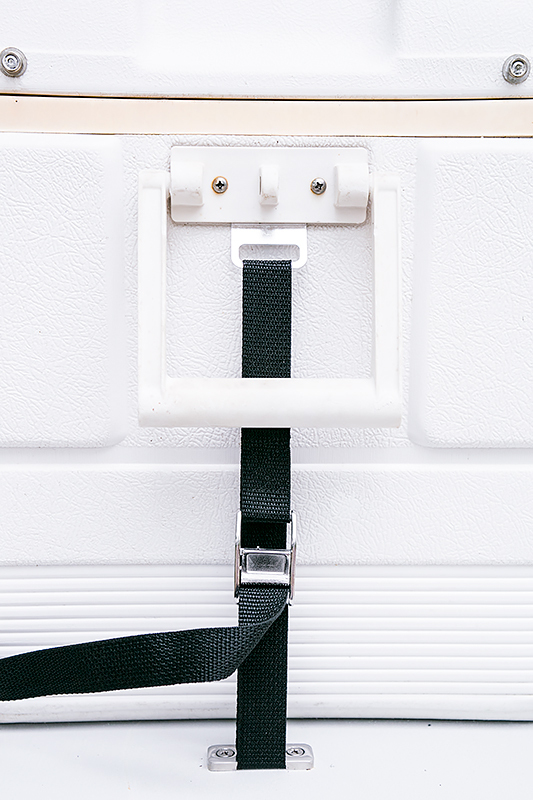 Turnbuckle provides maximum strength and longevity and can be hooked directly to built-in plastic eyes on Igloo coolers. Threaded Deck Plate can be mounted with #10 self-tapping screws (included) or through-bolted. This is the Turnbuckle - Deck Plate Cooler Kit. Turnbuckle provides maximum strength and longevity. Turnbuckle Adapter fits behind Igloo-style handles for a stronger connection point. Threaded Deck Plate can be mounted with #10 self-tapping screws (included) or through-bolted. This is the Turnbuckle - Deck Plate Cooler Kit with an adapter added. Strap Adapter fits behind Igloo-style handles to provide a convenient, strong attachment point. Threaded Deck Bolt requires access to underside of mounting surface. This is the Strap - Deck Bolt Cooler Kit with an Adapter added. Strap Adapter fits behind Igloo-style handles to provide a convenient, strong attachment point. Threaded Deck Plate can be mounted with #10 self-tapping screws (included) or through-bolted. Strap Adapter fits behind Igloo-style handles to provide a convenient, strong attachment point.Strap Deck Plate can be mounted with #10 self-tapping screws (included) or through-bolted. This is the Strap - Deck Plate Cooler Kit with an adapter added. Most economical system for securing coolers Igloo-style coolers. 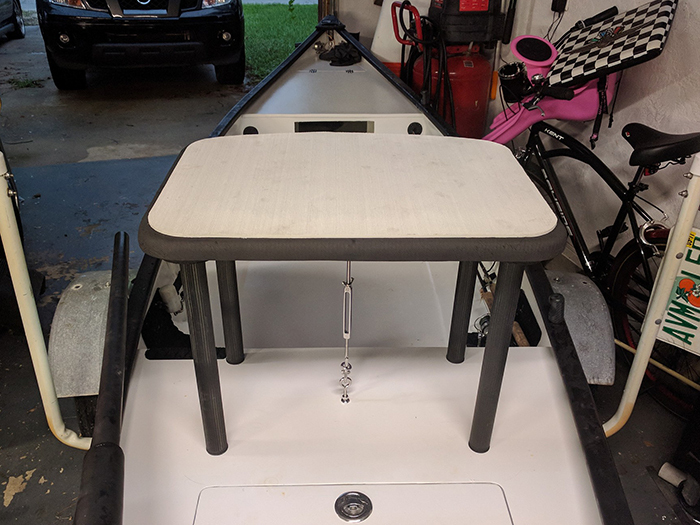 Kennedy Deck Loop is lower profile than similar products and uses #10 mounting screws instead of #8 for better holding strength. Strap Adapter fits behind Igloo-style handles to provide a convenient, strong attachment point. This is the Strap - Deck Loop Cooler Kit with an Adapter added. A few samples of Kennedy Tie Downs in use in a variety of applications. 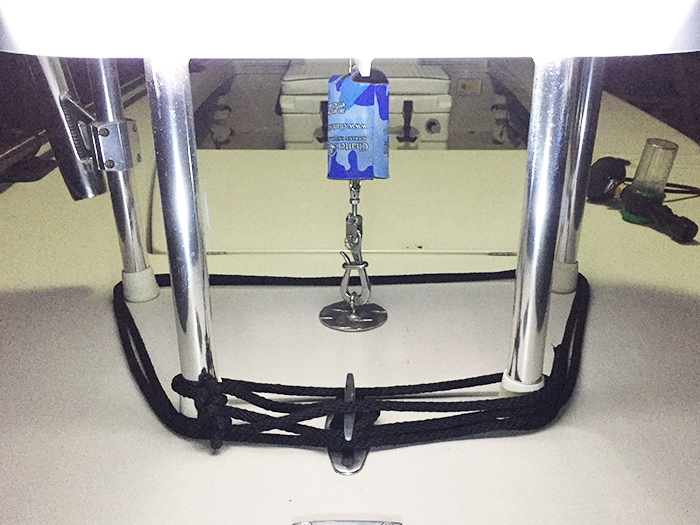 The Kennedy system consist of three basic components: deck anchors, attachments, and adapters. The anchor is the part of the system that permanently attaches to the deck of the boat. Four different anchor types are available. Lower profile Kennedy Deck Loop vs. typical stainless footman loop. 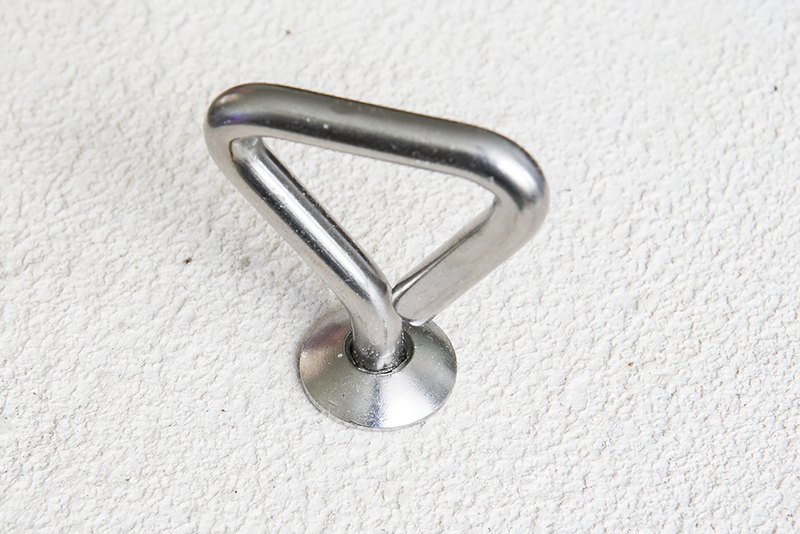 Threaded hole accepts either an Eye-Bolt (for use with turnbuckle) or T-Bolt (for use with strap). Attachments, either by themselves or in combination, form the link between the anchor and the equipment being secured. 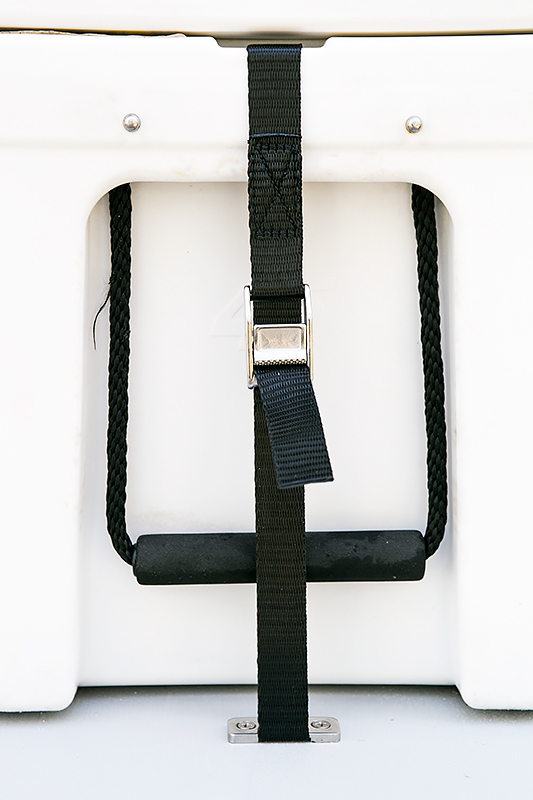 Standard version adjusts from 8" to 13"; extended version 14-1/4" to 18"
Adapters allow the easy attachment of the Turnbuckle or Strap to the piece of equipment being secured. Use to securely attach our Turnbuckle to most roto-molded coolers, casting platforms, etc.